Ever Wonder How It Works? Rolex design and engineering is amazing. One of the challenges we are working on overcoming is that most people who wear Rolex watches have no idea how the parts are designed and assembled. They also have no idea of how exactly a perpetual Rolex movement (automatic) works. In the future we intend to share in great detail exactly how the magnificent mechanical masterpieces are put together. Today we are in for a treat which Jocke, from Sweden sent in. 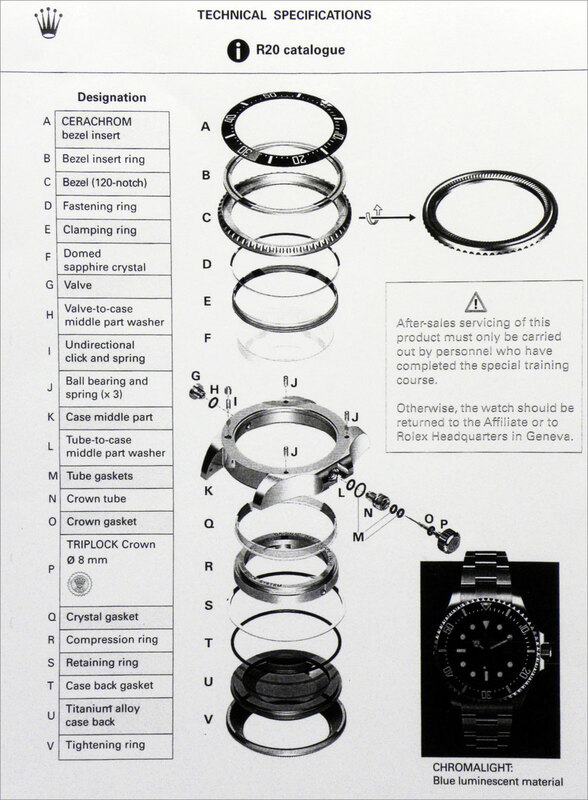 This Rolex illustration shows all the parts of a Rolex case for a DEEP-SEA SEA-DWELLER and how the fit together. If you examine it closely, it is just mind-blowing. One challenge with this image is that "F" which is the "Domed Sapphire Crystal" is hard to see since it is transparent, so you have to use your imagination a bit. Special thanks to Jocke for sending in this amazing Rolex illustration to share!!! Top Gear Reviews the Ferrari 458 Italia!!! !